Dulles Health (Chantilly) - Book Appointment Online! Dulles Health - Your Good Health and Comfort is our Priority. At Dulles Health, we offer internal medicine services for men, women, and teenagers, including physicals, EKGs, and blood work. 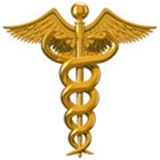 Our Doctors and medical staff are very curtious and detail oriented in making the patients comforteble. Whether you need some blood work done, a physical, or have chronic pain you need treated, we are the doctor's office for you. We believe in the practice of Prevention!